These days, the Saturday of the August Bank Holiday is the Rugby League Challenge Cup Final Day. 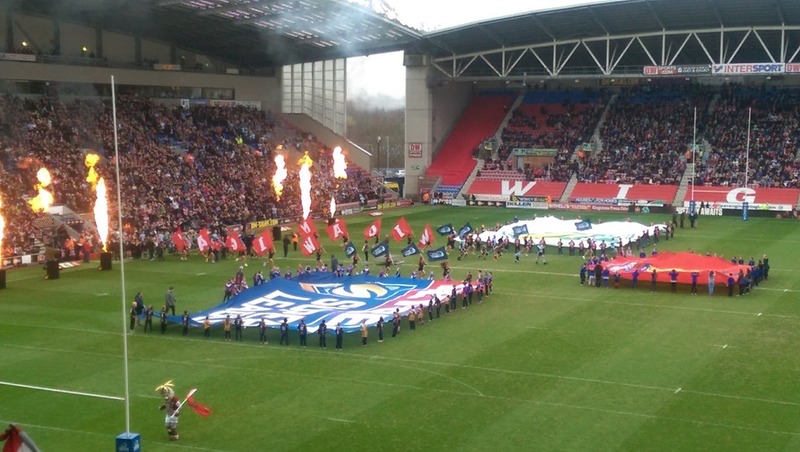 This year Wigan, despite a rather mediocre season, managed to book a place in the final to face Hull FC. So early morning, tickets in hand, we boarded the coach that would take us to Wembley. A long journey. The journey home seemed even longer as, consistent with their form Wigan didn’t play brilliantly and with Hull having done their homework, playing to Wigan’s weaknesses, Hull took the cup home with them. It was close. 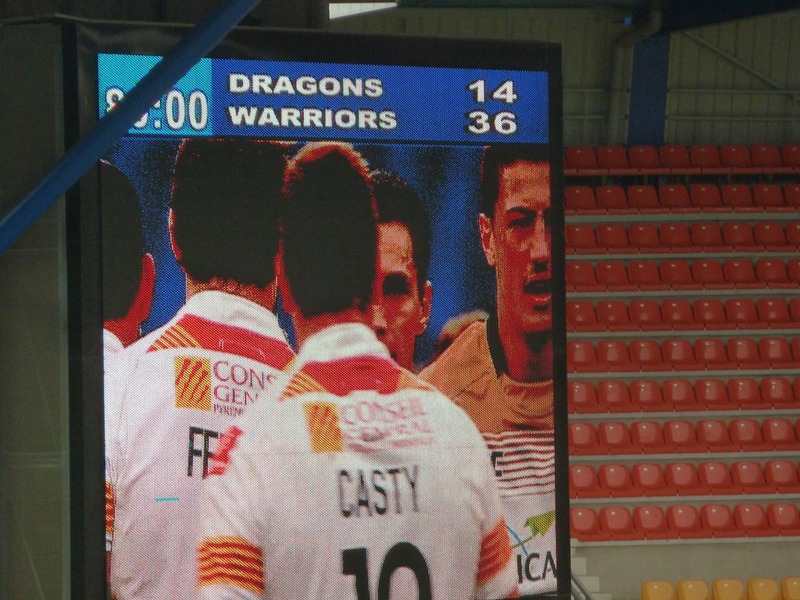 Both teams scored the same number of tries but Wigan missed two conversions. And, controversially, they had a try chalked off by the video ref. Wigan didn’t disgrace themselves and kept on battling to the end, having a try disallowed for a forward pass in the dying seconds. But it was a fair result as overall Hull were the better team on the day. It’s taken me a couple of weeks to recover from the disappointment, but, other than the result, it was an enjoyable day. Here’s a few photos I snapped. Almost 30 years ago, on 7th of October 1987. 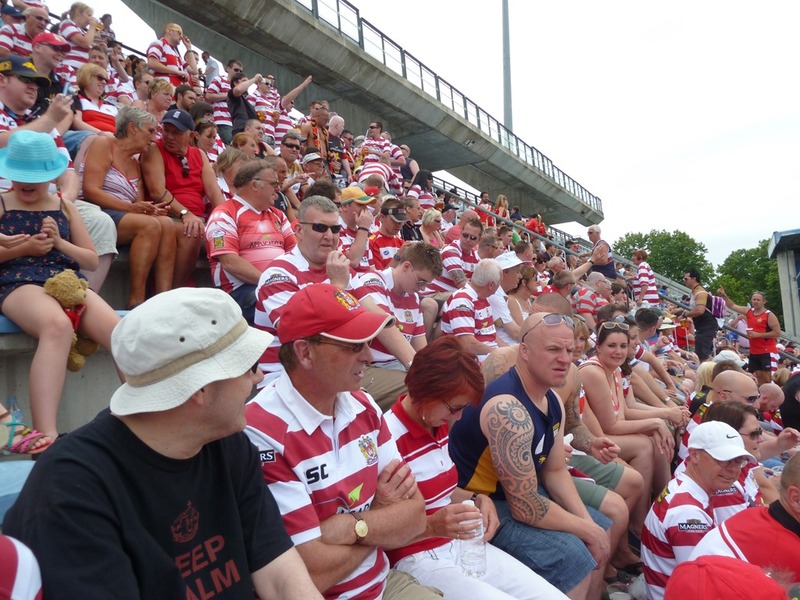 I was one of the 36,895 Rugby League fans who Packed into Central Park to watch Wigan take on Manly, the Australian Rugby League champions in the first Rugby League World Club Challenge. It was a memorable occasion. A hard fought. very aggressive, contest which Wigan won 8 – 2. No tries scored, but decided on penalties (unusual for a game of Rugby League). I was there in Liverpool in in 1991 when they beat Penrith and watched on TV with hundreds of other fans at the RIverside Club at the former Central Park in 1994 when they defeated the Brisbane Broncos on their own turf to lift the trophy for the third time. 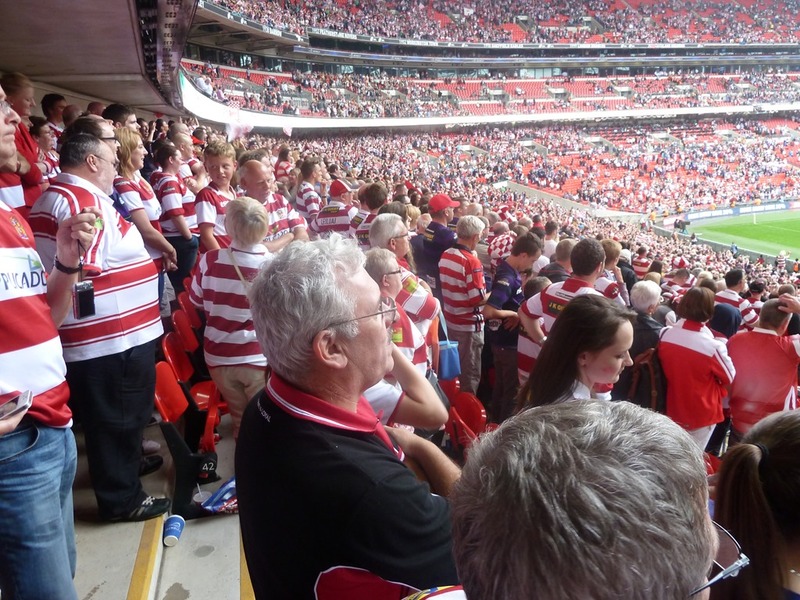 And I was there on Sunday afternoon this week with over 21,000 fans when Wigan won the trophy for a record 4th time defeating Cronulla 22-6, scoring 4 tries. 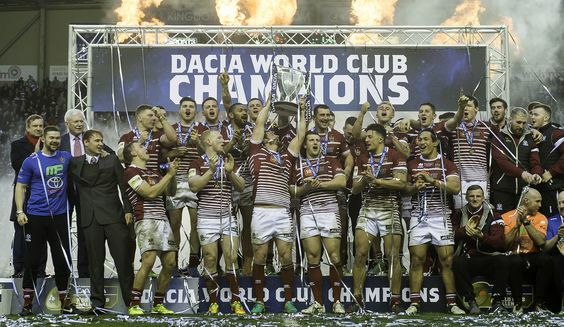 A particularly important victory as the World Club Championship had not been won by a British Club for 5 years. It was a good weekend for British Rugby League as Warrington had turned over the Brisbane Broncos 27-18 the previous day . 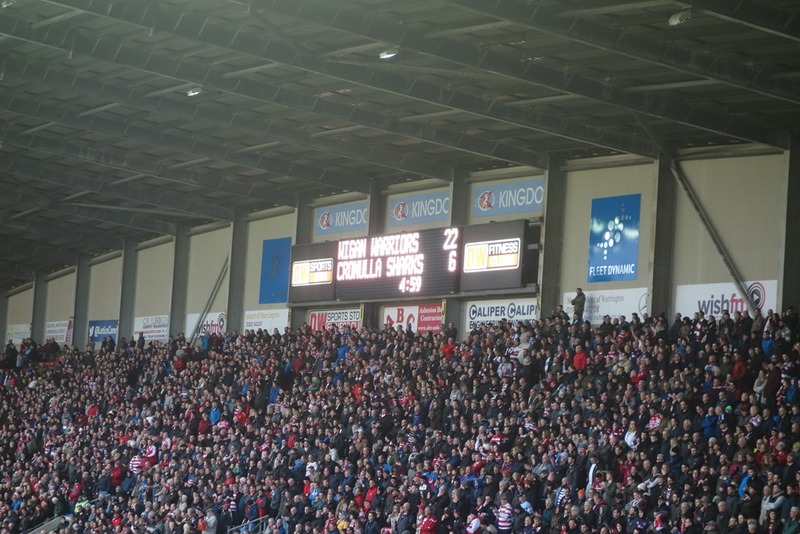 Two nil to the Super League! Waiting for the match to start. A great day and electric atmosphere. I was up early on Saturday morning – 5:30. I had a coach to catch to take me back down to London. Not for a holiday, sightseeing or on business this time, but to watch Wigan take on Hull in the Rugby League Challenge Cup final at Wembley Stadium. 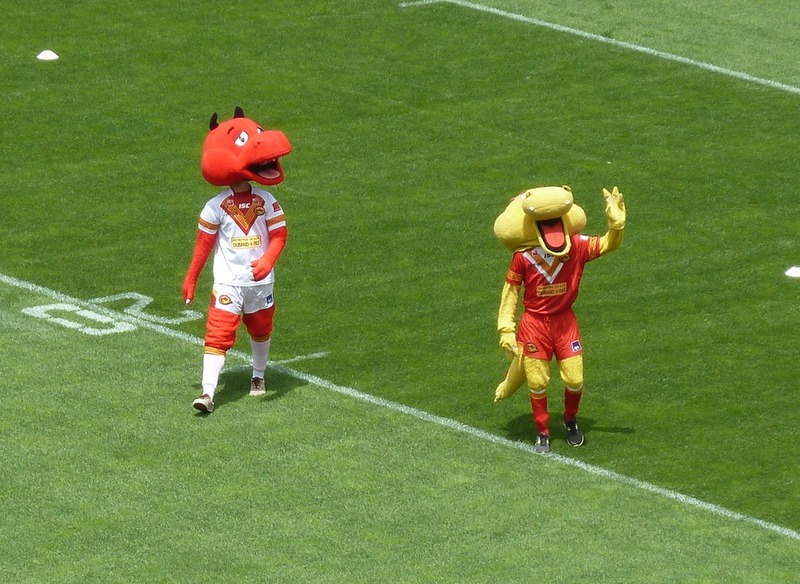 The two teams last met in the final in 1985 and the match has gone down in the history of Rugby League as a classic – some consider it to be one of the best. 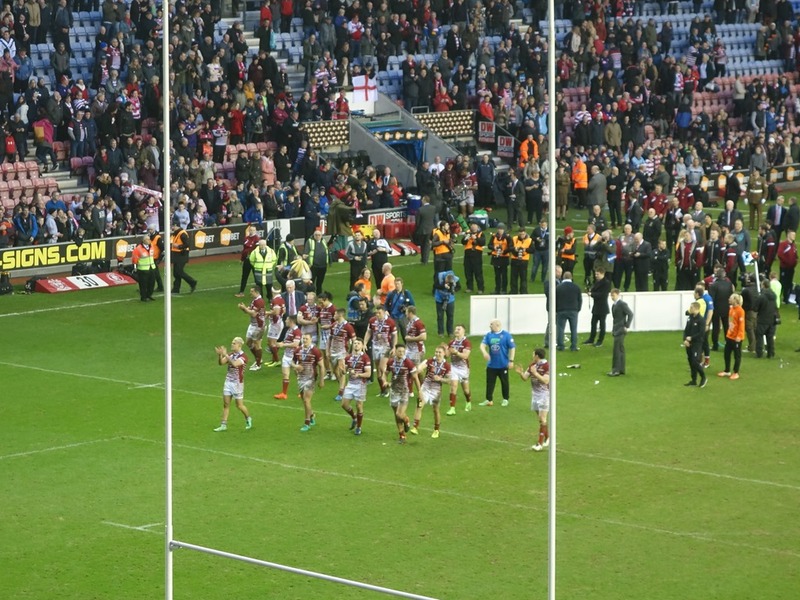 Wigan raced ahead but Hull made a comeback and almost, but not quite, snatching the match. There were some great tries too by Bret Kenny, John Ferguson, Henderson Gill and a young Sean Edwards (for Wigan) and James Leuluai (for Hull). But when I saw the weather forecast, it was obvious we weren’t going to have a repeat of that performance. 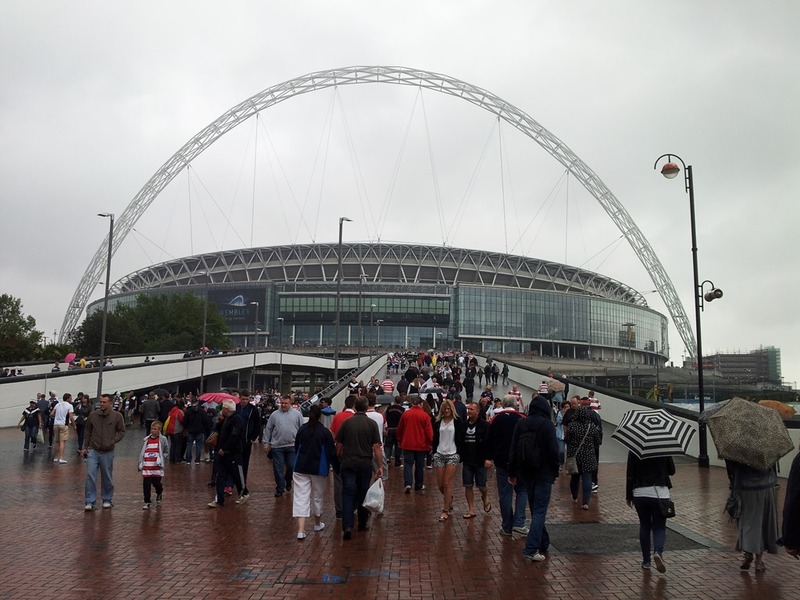 Heavy rain was forecast for the whole of the south east of England, including London, and that proved to be the case – it poured down before, during and after the match. We were down at Wembley a couple of years ago when we beat Leeds in the final. At that time I commented on how I felt the infrastructure around the stadium was poor and that fans were exploited with expensive food and drink sold in the stadium. (You aren’t allowed even to take your own water in and they sell water at an inflated price of £2-20 for a small bottle). Nothing had changed. As for the match, the conditions determined the tactics and made handling the ball difficult. So it was never going to be an expansive game. Both teams defended extremely well and neither showed much imagination in attack. And play was error strewn. 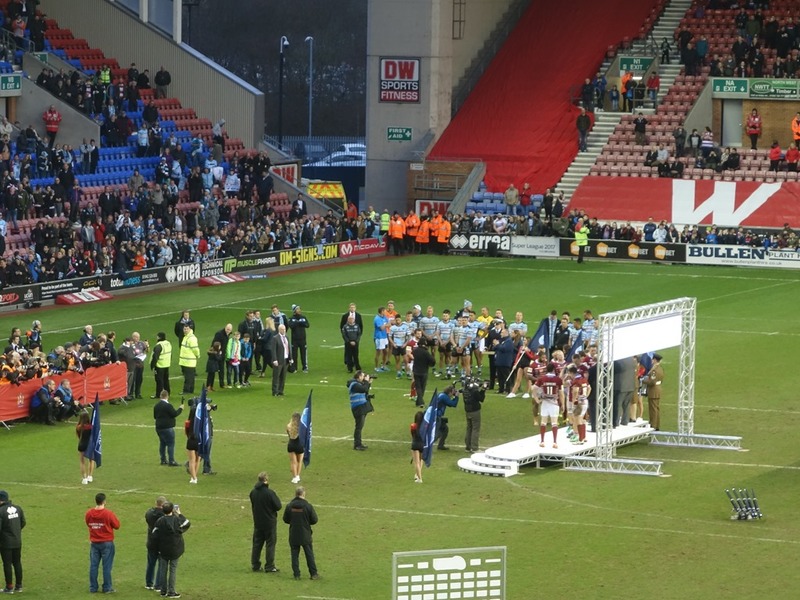 But with Hull making more errors than Wigan – with a lot of dropped ball in very promising attacking positions – and Wigan dominating possession and territory for much of the match, victory went to the Lancashire club who scored the only two tries of the match and managed to prevent Hull’s from scoring. 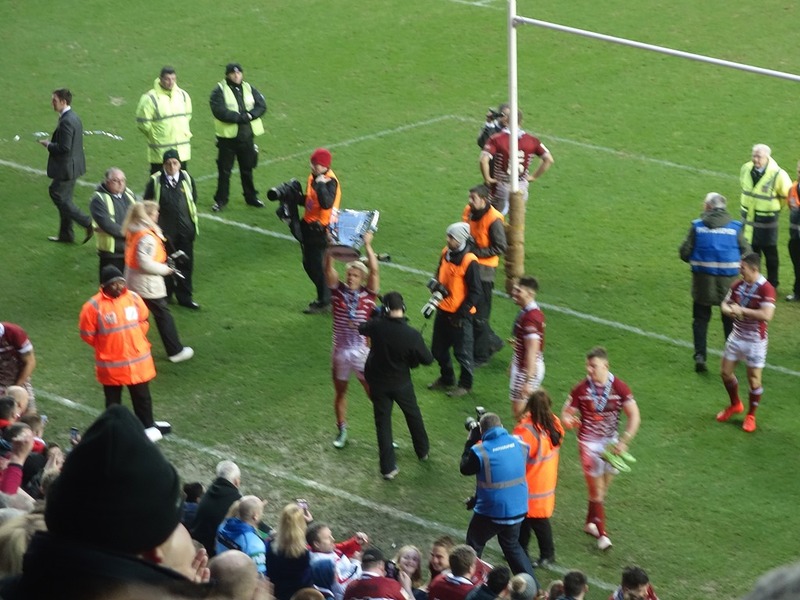 There were a few heart-stopping moments, though, particularly when the Hull full back broke free and could have scored except for a tremendous effort by the Wigan winger, Josh Charnley, who overhauled him and won the ball back. So Wigan held on, the scoreline being 16-0. So the match didn’t live up to the hopes and expectations of many people (was it ever going to?) but from the perspective of a Wigan supporter it didn’t matter too much. We’ve won the cup. And I’ll be there, of course. 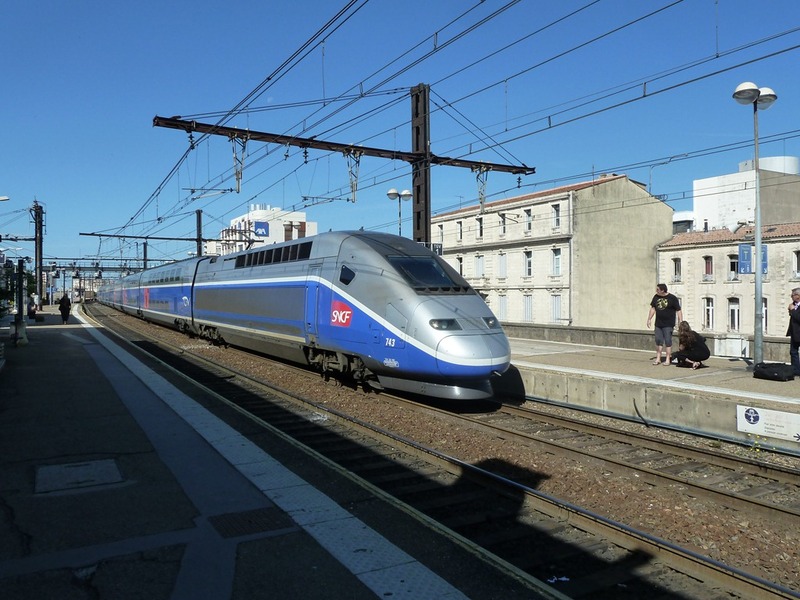 Last Saturday I caught the TGV from Nîmes to Montpellier to go and watch Wigan play the Catalans Dragons at the Stade de la Mosson. 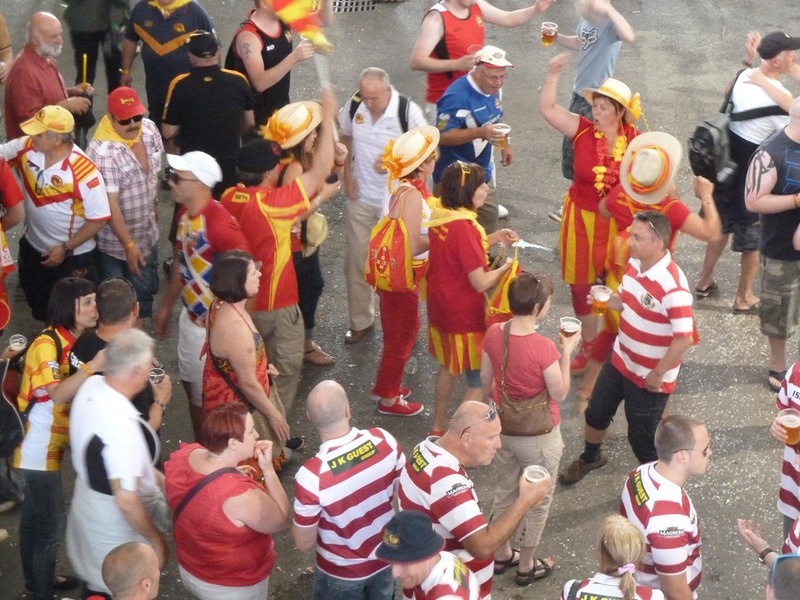 Although the Catalans are based in Perpignan, which is about 100 miles further west close to the Spanish border, they take some of their home games “on the road” to try get some more publicity for Rugby League in the South of France and “spread the word”. 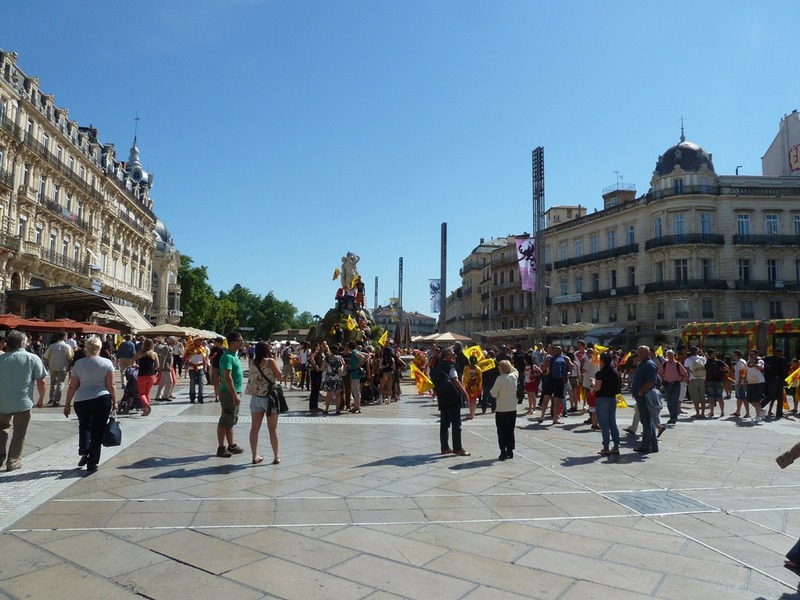 and just over 20 minutes later, after a very smooth, comfortable ride, I was in Montpellier. 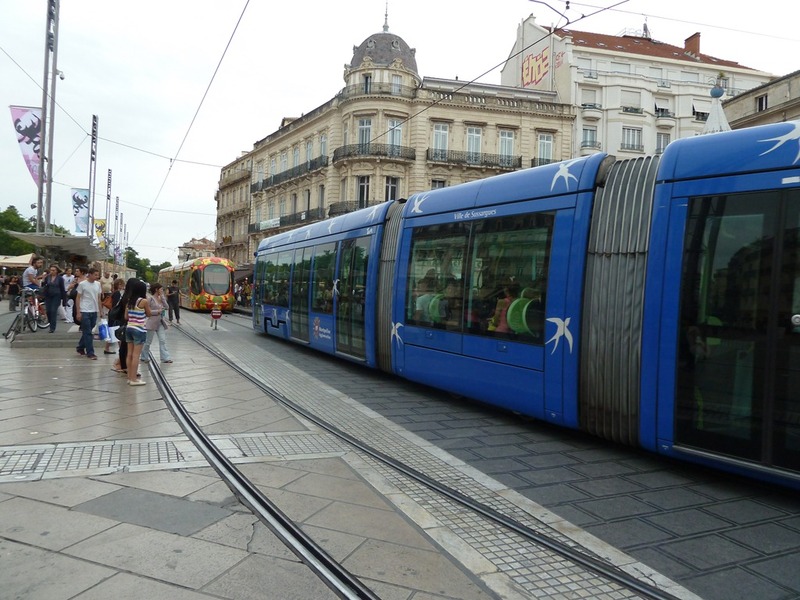 I had a few hours to look round before making my way to la Place de la Comédie, the main focal point of the city, where the fans from both sides were gathering ready to catch the tram over to Stade de la Mosson which is on the outskirts of the city. 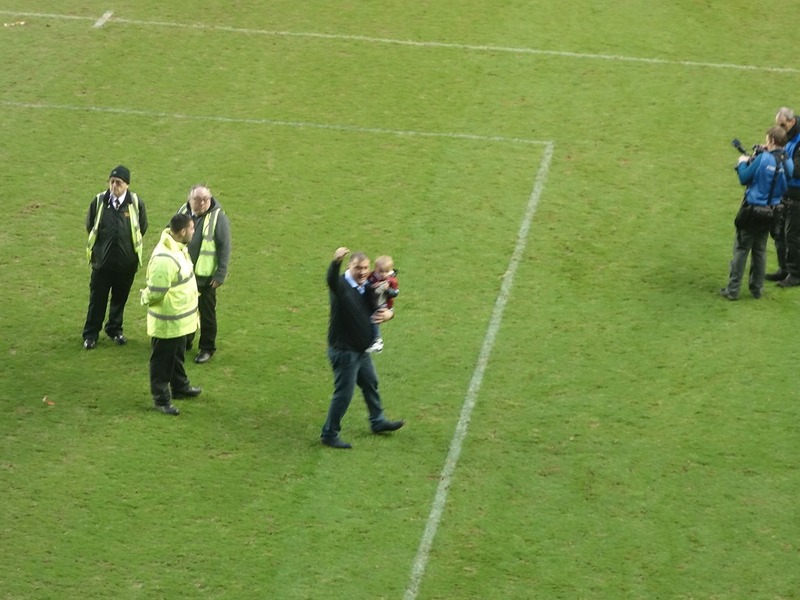 Rugby League is a family sport and crowd trouble is very rare (although not completely unknown). So there was no segregation at the stadium and the fans mingled freely both before and after the game. 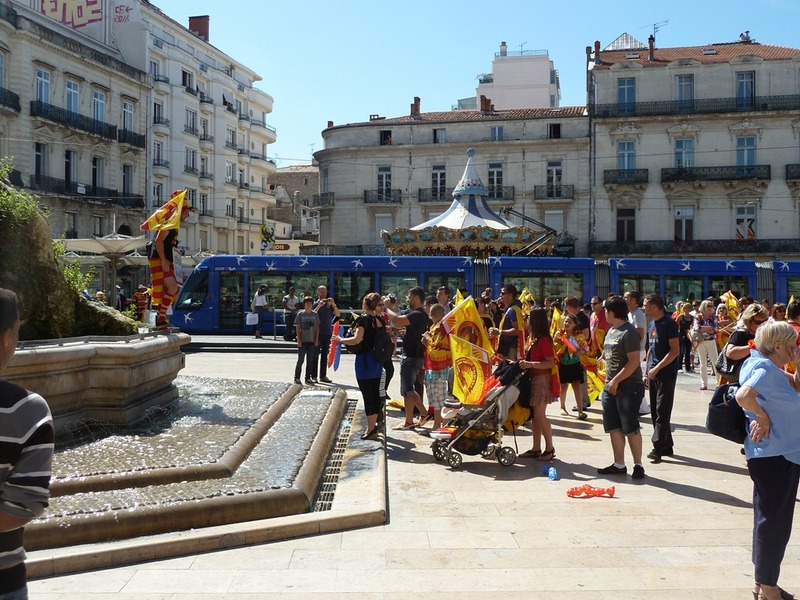 Although Perpignan is in France, the locals generally consider themselves to be Catalans first and are very proud of this. 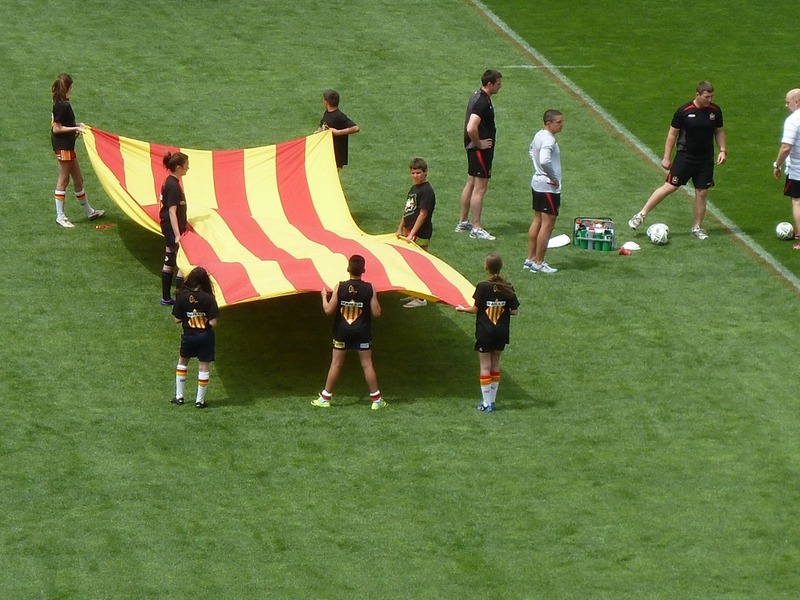 Here’s the Catalans flag being displayed on the pitch before the match. 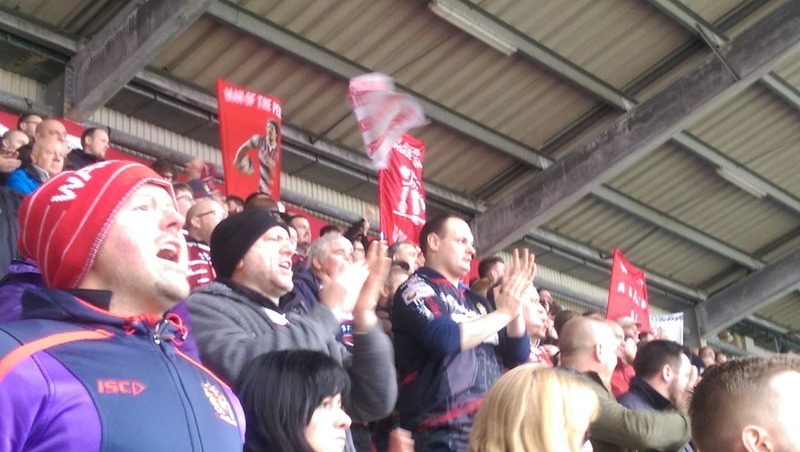 Wigan fans in the stands ready for the match to start. The match was perhaps a little closer than the score suggests. 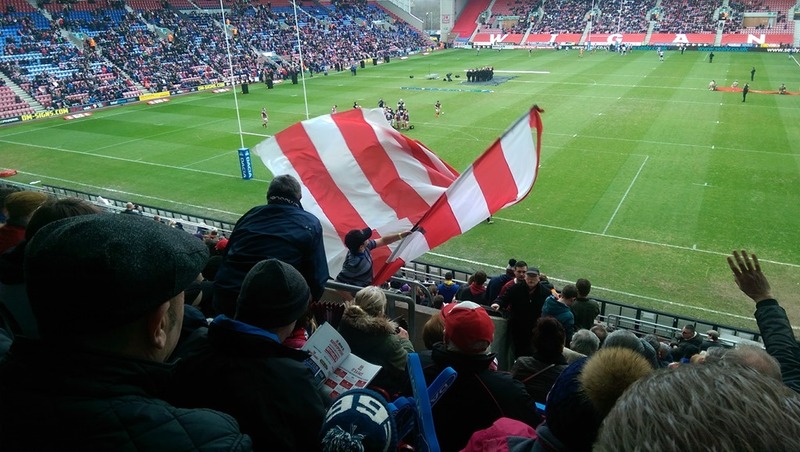 Catalans bombed a couple of good chances- but Wigan were definitely the better team on the day, playing some good, flowing rugby and scoring some excellent tries, two of them when they were down to 12 men when Gil Dudson was in the sin bin for 10 minutes. 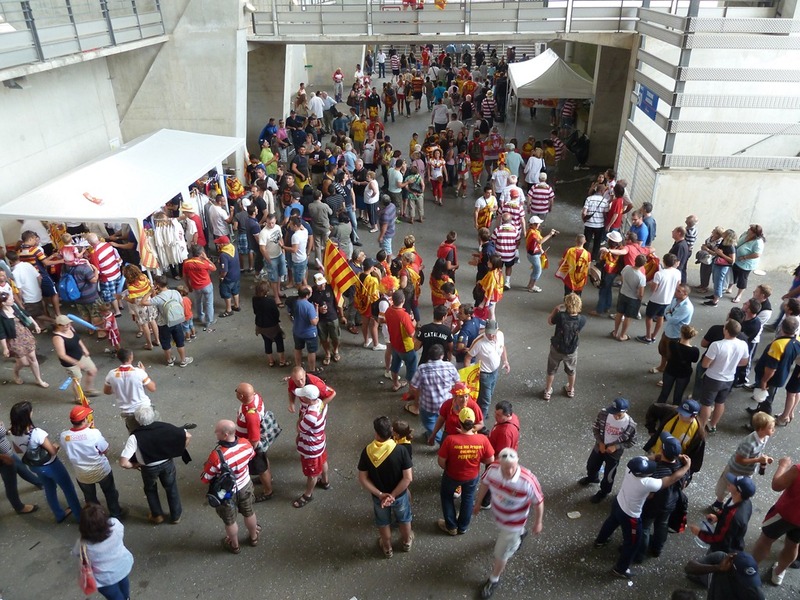 Even though they’d lost, the Catalan fans were gracious in defeat and were very friendly. A number of them came over and shook my hand congratulating me for my team’s win. They always organise a party after the game . There was a band and fans of both sides were mingling and dancing. 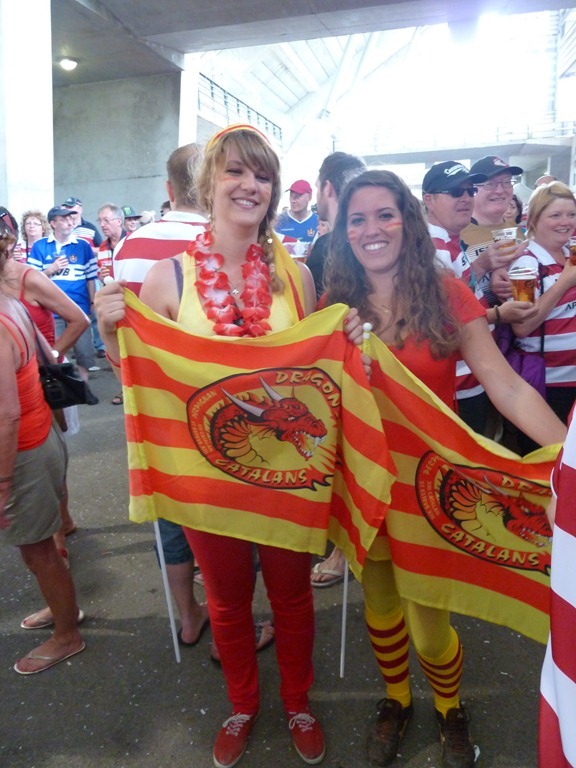 Here’s a couple of friendly Catalan fans. Waiting for the tram back to the city centre. On the tram I got talking to a Catalans fan from Perpignan. 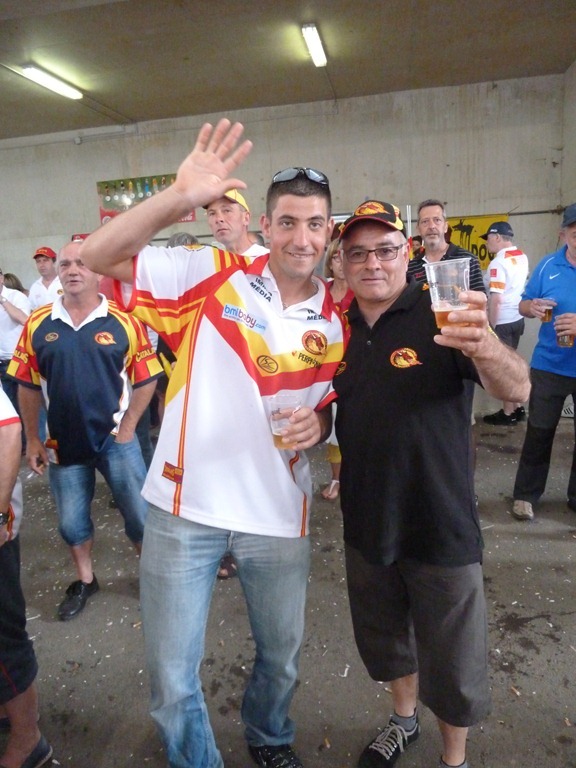 We managed to communicate to some extent, talking about the game and the state of Rugby League, despite his limited English and my poor spoken French. About 25 years ago I took an A level in French at night school and got reasonably good. But the saying “if you don’t use it you lose it” is definitely true with respect to languages. 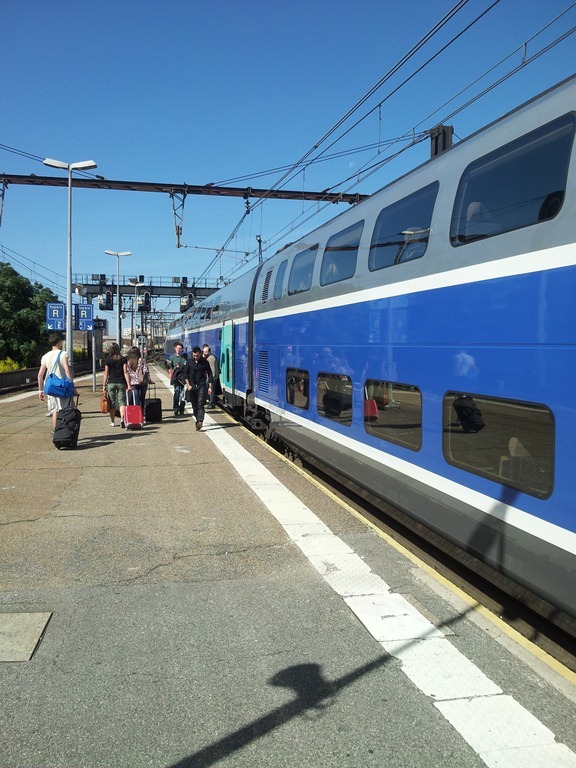 Although I can still make a good stab at reading French, I struggle with conversation, which is a more difficult skill. But we managed to make each other undertood, I think, at least to some extent! 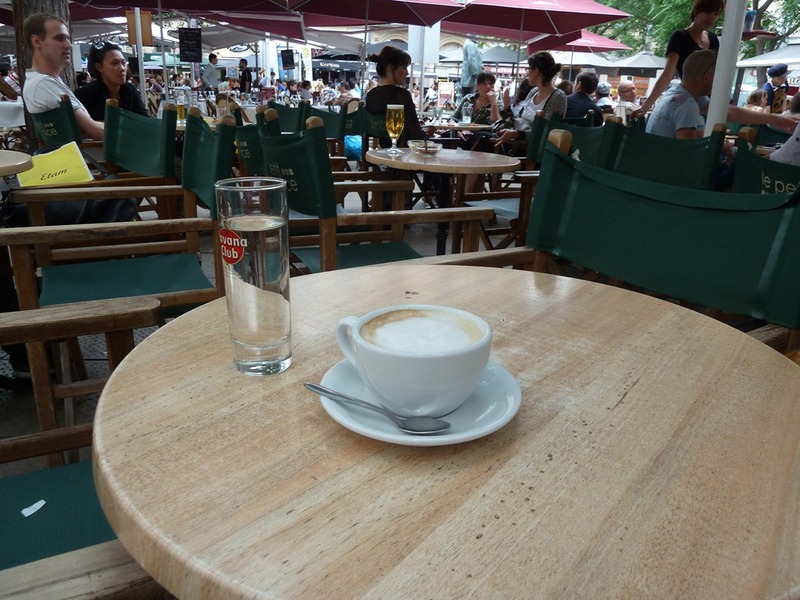 When I got back to the city centre I stopped for a café crème in a café in the market square to perk me up before I headed down to the station to catch my train back to Nîmes.